Today is our second day with Patricia Obletz creating works of art in our cubicle. She’s been whipping up a set of paintings on canvas using acrylics and pastels. Her use of vibrant colors is really refreshing. Patricia Obletz is a renowned artist that has come to live in Milwaukee via Buffalo, Manhattan, Chicago and then of course, Wisconsin. She studied life drawing and painting at Parsons School of Design and the Art Students League of New York. During her career, Obletz has spent time in the office environment as a staff writer for Seventeen, Modern Bride and copy supervisor for Helene Curtis. 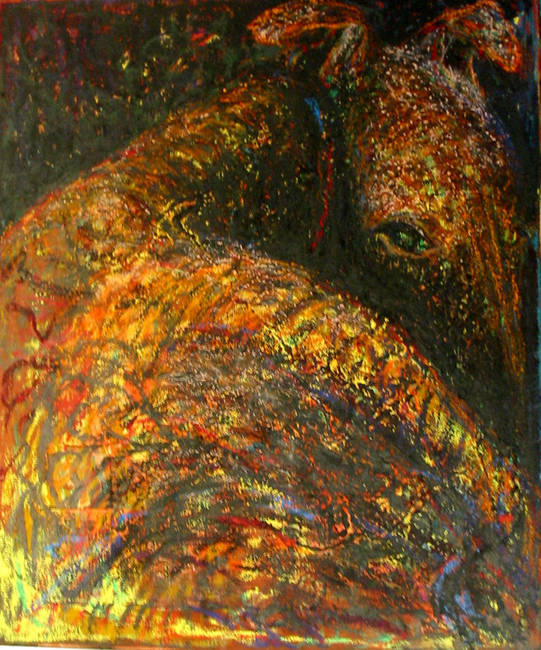 During the early part of her artistic career, she used thinned oils as her choice of medium and transitioned into oil pastels and tube oil. 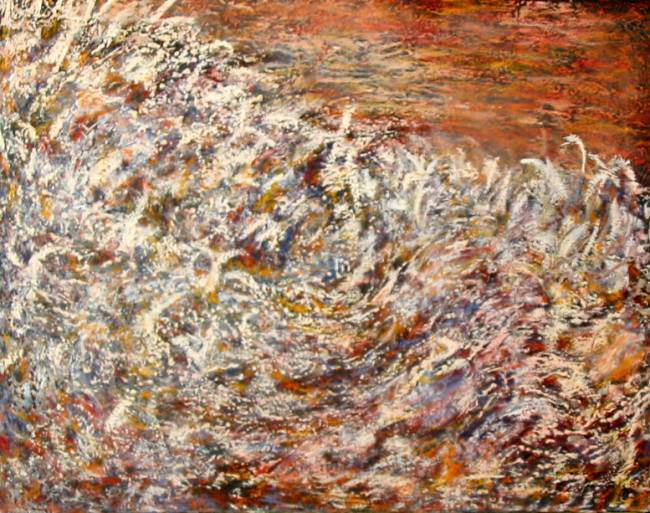 Patricia began exhibiting her work in 2000; her paintings are in public and private collections, and exhibitions across America and in Canada. Obletz’s work is expressed through color, which is applied at random and formed and built upon as her stream of conscious guides and inspires her. Her subjects vary in range and encompass everything from portraiture to landscape, canines and horse worship. 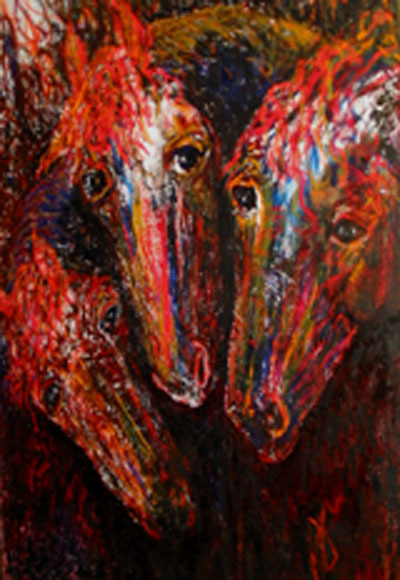 To learn more about Patricia Obletz, her work and her involvement in the art community, you can visit her site, www.OilsByObletz.com.